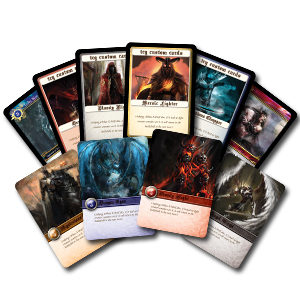 Are you looking for a printing company that will be able to print your own card game prototype or real game production as low prices? We at MakePlayingCards.com have been printing game cards for many large well-known high street game companies right through to card game enthusiasts designing their own game for fun. But they all have one thing in common and that is we manufacture their game cards using the same high quality standards. We can achieve high quality POD game cards products and services as we are owned by QP Group, a major manufacturer of high street board games with a history spanning more than 30 years. 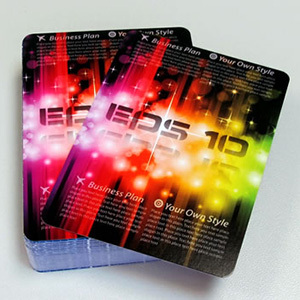 Our years of printing and manufacturing expertise allows us to bring you low cost game cards printing that will suit budgets of aspiring game designer or large corporations. 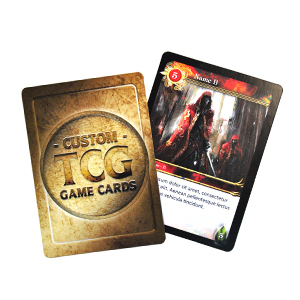 Start your custom TCG cards or custom token cards design using our pre-loaded common layout design templates with different colors themes by just uploading your photos or images and adding your text to relevant sections. If these TCG token templates don’t take your fancy, design one yourself and upload them onto our completely blank cards option. Our online cards maker is arguably the best in the industry with artificial intelligence for detecting low resolution images and for positioning. 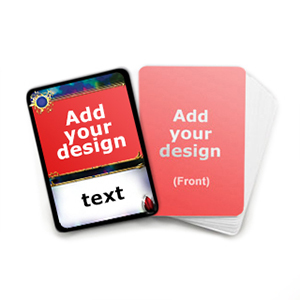 Upload your game card designs onto our maker for editing and preview them for order. 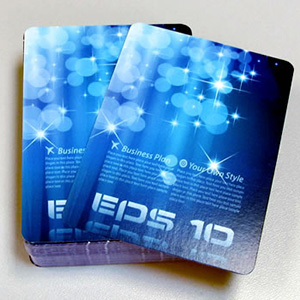 Our streamlined POD game cards service means you can order as low as 1 deck to millions of decks. 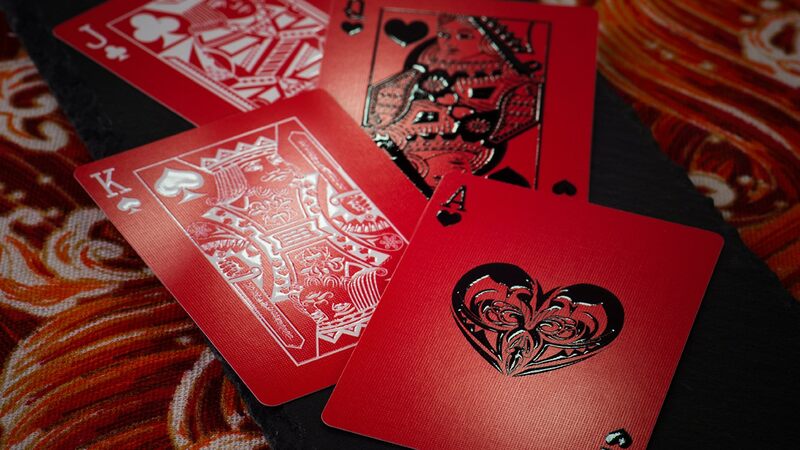 We have the manufacturing capacity to cater for your card game production needs and to a very high standard. We print your game cards on state of the art HP10000 digital industrial printers for low quantity orders and for large quantities, we use offset printing for speed and precision. So if you are looking for a printer to print TCG cards, your own board game cards or your completely own designed game cards, print them with us and you will be more than impressed with the results. We have handled many large card game productions and many kickstarter playing card projects. They all choose us as we have a long printing history in the board game industry as trusted by top brands on the high street. Our reliability for quality, speed and service are second to none. If you're big into trading card games or collectable card games, you'll know how important card sleeves are for competition days or for general good keeping. The last thing you want on your cards are those nasty finger oils and dirt all over them. 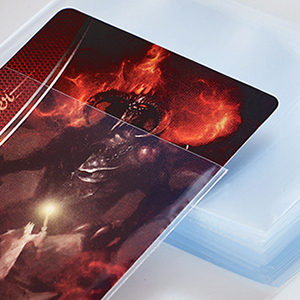 We stock high quality extra clear card sleeve pockets to protect your prized TCG cards. 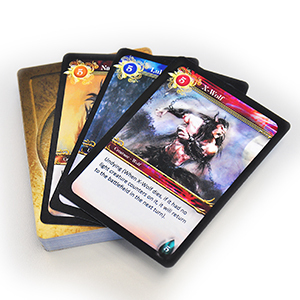 Check out the video to see how easy it is to create your own TCG cards here. Simply upload and preview.